Find your way to the hidden gem that is Leroy's and listen to music that will make your Saturday night memorable and unique. Tunes from the Roma people and songs from Serbia, Bosnia, Macedonia, Croatia and beyond will make you smile, possibly shed a tear and maybe smash out a kolo or two! Make sure you are there and drag all your friends along who'd otherwise be lost somewhere on Courtney Place. 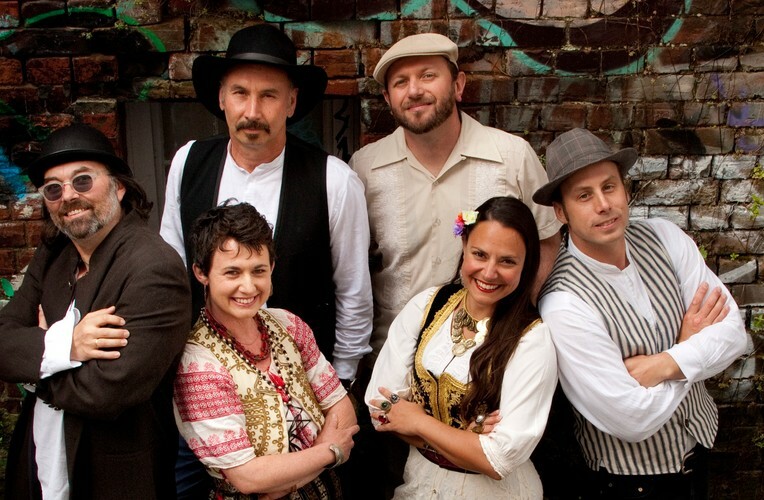 Members of the band are Svetozar Andic: vocal, guitar; Iva Sajdl: vocal; Elisabeth Auchinvole: violin; Frankie Curac: clarinet, accordion; Luka Andic: bass, frula; Dejan Jeremic: percussion.